If you have photographs that you would like to share, please contact me. I am especially keen to obtain copies of personal photo albums. Scanned copies preferred, but I am able to scan all formats of photos and negatives so that they can be electronically archived. Photos will be carefully handled and returned. J. Boseley was a lance corporal in the 22 Battalion. There is a selection of his photos, including a set depicting the Maadi Camp Rifles Competition. Ed Collett was a Private in the 22 Battalion. 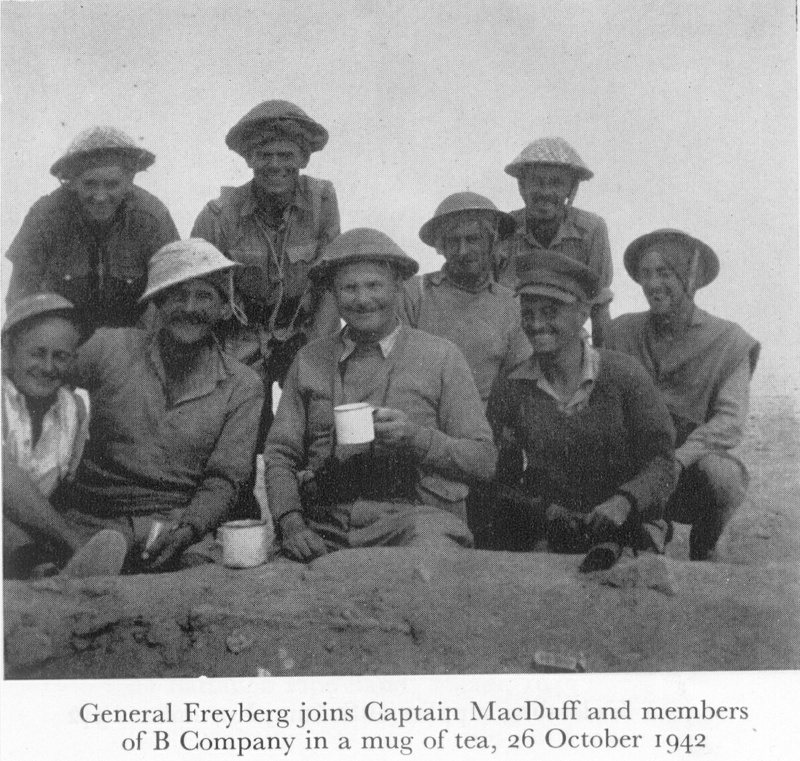 Here is a selection of his photos of his time in the Western Desert and Cairo. Douglas was a signaller in the 22 Battalion. He has some photos of his time in camp at Waiouru and Palmerston North, followed by his time in Egypt, Maadi Camp and on sightseeing trips. Then he moved to Italy, with photos of locals he met and his time in Rome. He was wounded on the outskirts of Florence and found hinself back in NZ by Xmas 1944. Wilbur Harold Kinsey joined the 22 Battalion at the end of the Italian Campaign, then went on with the Battalion to Japan as part of "J Force". There are four pages of his photo album with images of Florence, and two of Japan. Charles Merrylees 6754 was an original member of the 22 Battalion and sailed to Britain on 2 May 1940 with the 2nd Echelon. Mike O'Leary 617177 was in the 22 Battalion. He arrived in Egypt in mid-1944 for final training before being shipped to Italy (through Bari) to join the 22 Battalion at their Winter quarters just south of the Senio River. In Spring, Freyberg launched the final assault north, with the 22 Battalion being the first to enter Trieste on 2 May 1945. O'Leary's war was over and he was able to enjoy the summer, before moving south to Florence for the Winter and finally on to Japan. Charles Paterson took and pencil and sketch book overseas rather than a camera. 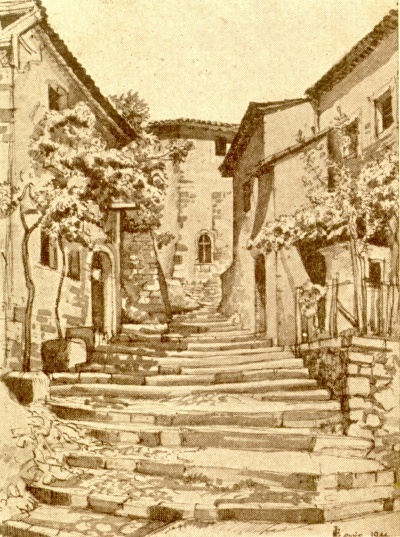 He sketched and later set these out as watercolours. 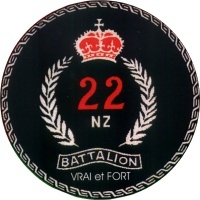 Stuart Richard SOUTHALL (621870) was posted to the 22nd Battalion in 1944, joining the Battalion for the NZ Division's final push into Trieste in northern Italy. Malcolm was a Lance Corporal in the 22 Battalion. He has provided some photos of northern Italy, Trieste and his time after the war ended in May 1945. This photo is from the collection of Cyril Whitty, a member of 22 Battalion. Cyril is standing in the middle of the back row and Capt MacDuff is to the left of Freyberg, with the light-coloured hat. Do you know the other members of B Company in this photo? This pen drawing was used for the Battalion's 1944 Christmas Card.